Nutrition – Torah true mothers, living life together. Well, Purim’s passed, and it was a whirlwind; a beautiful whirlwind of food, family, and fun. Best food related part? I didn’t have to cook extra for Shabbos this week (just popped a gefilte fish in the oven)! And now, merely days after Purim, here’s a little peak inside the first steps of my annual Pesach prep. It isn’t exactly kneeling on the floor type cleaning – got to allow for some transition – but it’s the annual first step. Friday night: Chicken soup, gefilte fish, quinoa, green beans. Shabbos lunch: Gefilte fish, dijon ribs, squash pie, roasted baby potatoes, salad, mushroom zucchini muffins, fruit salad. Sunday: Dijon ribs, squash pie, mushroom zucchini muffins, roasted baby potatoes. Monday: Tomato soup, elbow pasta, and breaded fillet of sole, and steamed peas. Wednesday: Tomato soup, and grilled cheese, sliced veggies. Thursday: Pancakes, cottage cheese, sliced veggies. What’s on your menu this week? 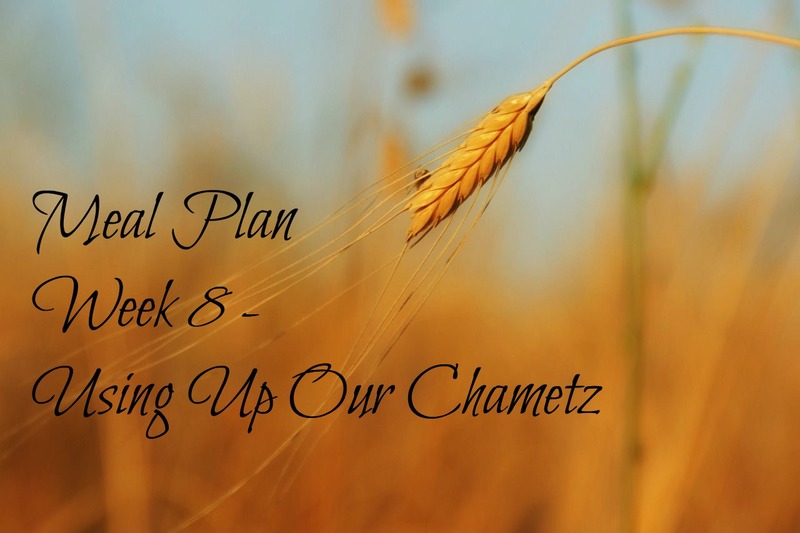 Interesting ideas for using up your chametz? Please share below! This morning, as with most mornings, I checked my email quite early in the day. I scrolled through, browsing a few advertisements, marking some emails that required further action, and then turned my attention to a birthday party e-vite that had come in from a mother of my son’s classmate. A Candyland themed birthday party. The birthday party theme in and of itself sounded cute and classic, but I had to take a step back and consider the idea. Our kids seem to be surrounded by candy. In the best of situations, where nosh is rationed on the home front, the kids are still bombarded with sweet treats everywhere they go. In summary, there is no shortage of opportunities for kids to indulge their sweet tooth. That is, until it decays under all the layers of sugar. Now don’t get me wrong, I think it’s fabulous that morahs, rabbonim, and rebbeim are offering positive reinforcement for our children’s behaviors and yearning to learn. I merely think there might be healthier ways to do so. As in many areas of life, a cost benefit analysis goes a long way here. We have to be able to objectively look, as a society and as a community, at whether this system of candy based reinforcement is helping or harming our children. 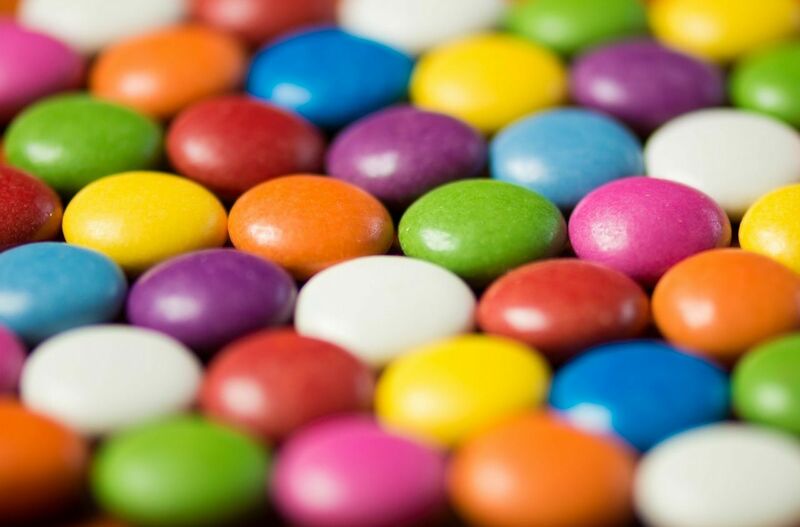 Moderate to severe ADHD, behavioral, skin and migraine related reactions to food coloring found in the majority of sweets. Did you know even white marshmallows include blue dye? Tooth decay – many parents let this one go as they brush children’s teeth twice daily, however the prolonged contact between brushings, of sugars and teeth, particularly when having eaten soft, chewy, or gummy type candies can cause significant damage. Sugar’s impact on the whole body. In recent years, the impacts of sugar on the Western diet have been studied, publicized, and are shocking. Nearly every factory produced food we eat has added sugar. Do we really want, or need, to offer our children more than this? Recently I came across the book Eat Healthy, Feel Great by Dr. William Sears. I can tell you firsthand of the benefit it’s made to my child’s diet. The book speaks of, and educates children in a fun, comprehensive manner, on what foods are considered red lights, yellow lights, or green lights, and why. Now when my son brings home extra candies that have zero nutritional value (red lights), I ask him whether he’d like to trade them with me for a yellow light food such as chocolate or a cookie – I’ve seen 100% success. In our house, we certainly do have treats, however they are almost never candy based., and more often than not, I know what ingredients have gone into them, because I’ve made the treats myself. I offer chocolate chips for reinforcement of good behavior, and fruits or homemade cookies for dessert. I always have dried fruit in the pantry which my little guy loves. It’s all about setting standards and training an appreciation of nutrition, and of the human body. I say it’s time to reform the public system. Schools have begun introducing nutritious lunches, and banning nosh that is sent in lunches. Each step goes a long way. As we raise our children with Torah values, we must stress “u’shmarem me’od l’nafshoseichem,” – “and you shall guard your bodies very much.” Our children are the greatest value in our homes. We owe them that much. What are your thoughts? Do you think that the candy being offered today is excessive? Do you speak to your children about limiting candy intake, or do you not mind the amounts or nosh that are made available to children?